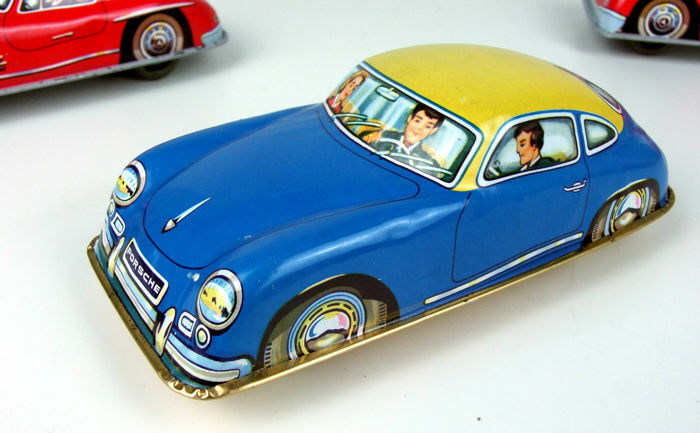 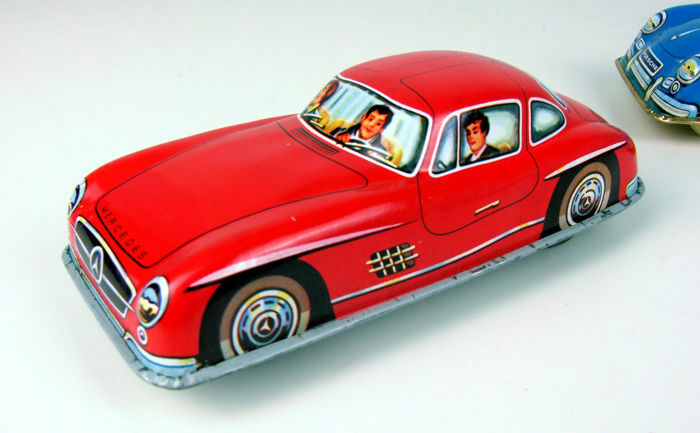 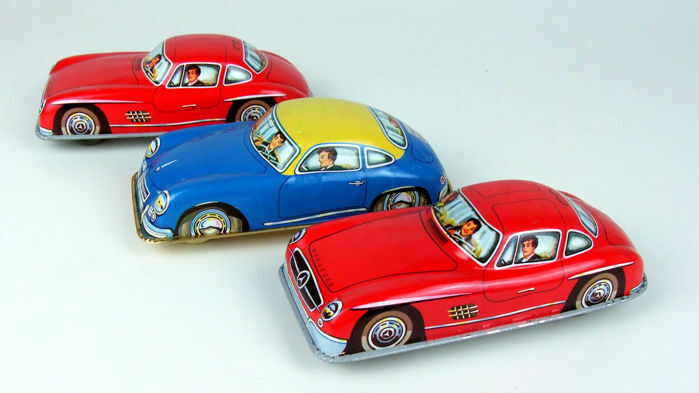 Trade box with 3 all tin freewheel cars: 2 x Mercedes-Benz 300SL and 1 Porsche 356A. 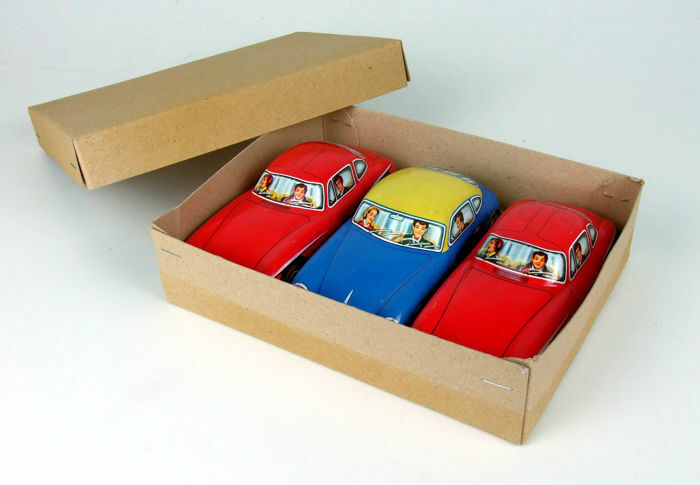 These were made by the French firm of Joyax between the early 60s and the early 90s. 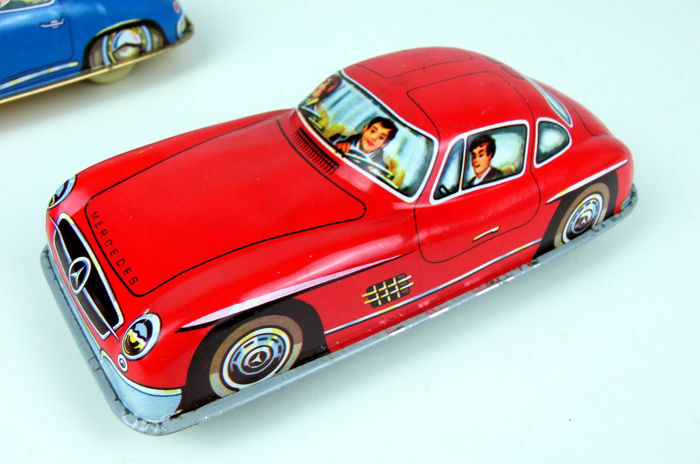 The cars are in near mint to mint condition, with only some minor production traces. 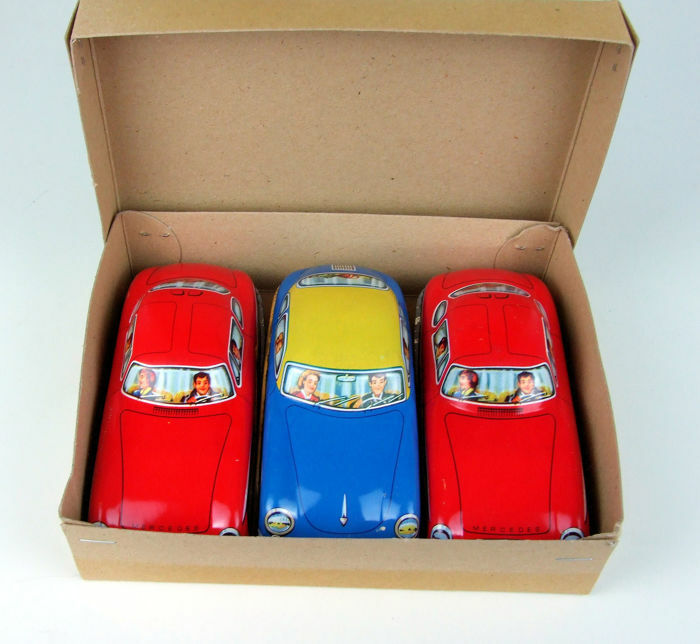 They come with their trade box.